I can't believe that it's been more than a year since I shared with you my favourite roller coasters. But since then, I've gone on more roller coasters. Going to school in London for a year surely enough made it possible for me to access the widely praised theme park industry of Europe. Within this period, I added close to 100 roller coasters to my list, including my 300th roller coaster, Wildfire at Kolmården. Oh, by the way... I love roller coasters! 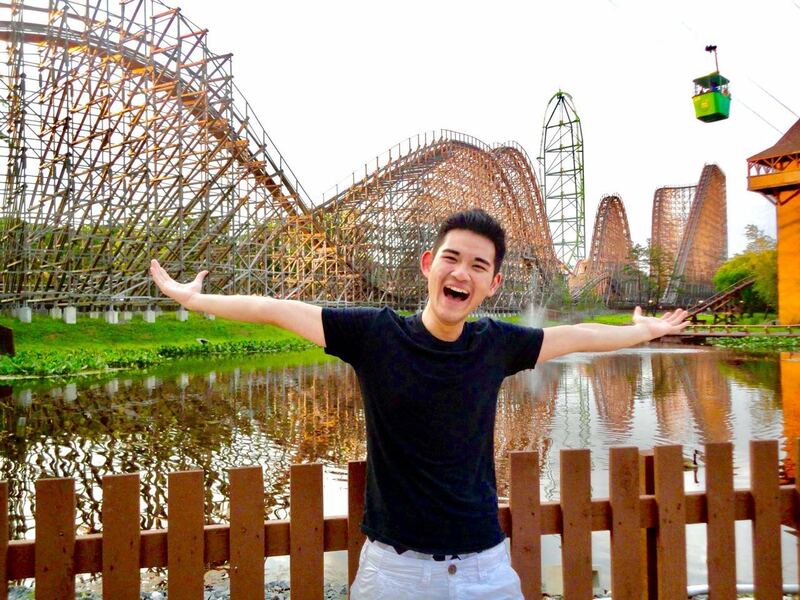 Some people have been asking me the same question over and over again: What is your favourite roller coaster? Well, ladies and gentlemen, fasten your seat belts and brace yourselves! Here are my TOP 10 ROLLER COASTERS as of today! NOTE: Click the headings for POV videos of each roller coaster! Superman the Ride cresting upon its 2nd hill, which provides adequate floater. 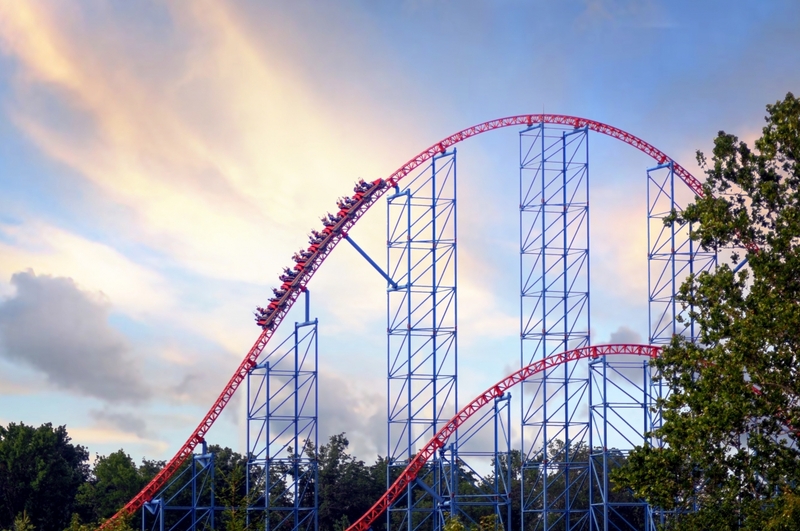 Following its seven-year run as Bizarro, Six Flags New England decided to return this roller coaster back to its original form as Superman the Ride. This Intamin roller coaster never fails to charm me with its consistently intense experience from the beginning right until the very end. Lots of airtime, a couple of underground parts here and there, and a great combination of out-and-back and twisty goodness. It's a classic and will always be, particularly for New England-ers. 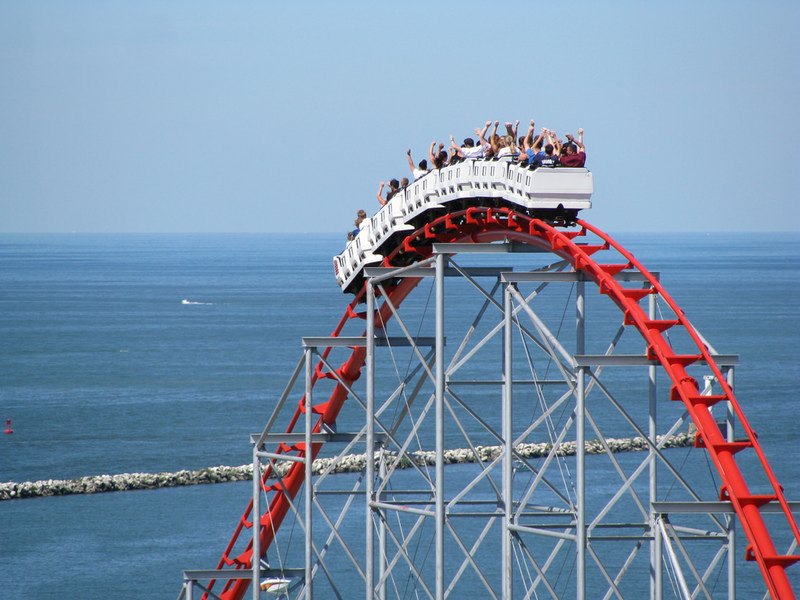 Magnum XL-200 gives its riders a breathtaking view of Lake Erie as they go up and down the many hills of the roller coaster. If there's one roller coaster that I'm thankful for, it'd have to be Magnum XL-200 at Cedar Point. Opened in 1989, it's the first roller coaster ever to surpass a height of 200 ft. Since then, theme parks around the world are competing to build the world's tallest, fastest, and longest roller coasters. This is the one roller coaster that started the coaster wars, and we should all thank Magnum XL-200. Moreover, you won't beat the view of Lake Erie from this coaster... if you can brave it. 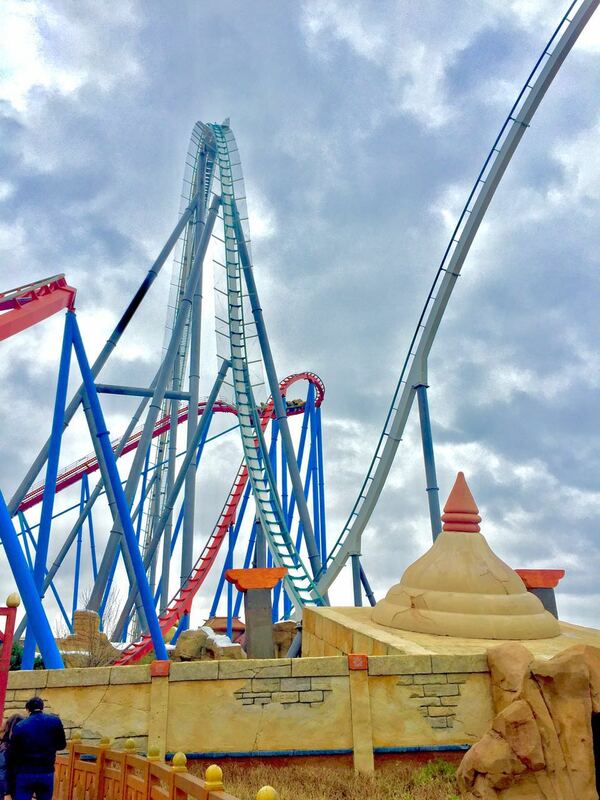 Shambhala's first drop isn't the only good thing about this coaster. The hills following it are all magnificent and provide great airtime. In an era where coaster enthusiasts often call Bolliger & Mabillard forceless and "boring," Shambhala changed it all. Unlike the typical B&M models (*cough* Intimidator *cough*) that I found rather unexciting, Shambhala has a layout that brings out that force that I'm looking for. The airtime on the second, third, and fourth hills on this coaster is great and worth the re-rides. Oh, also that signature splash pool in the middle of the course. 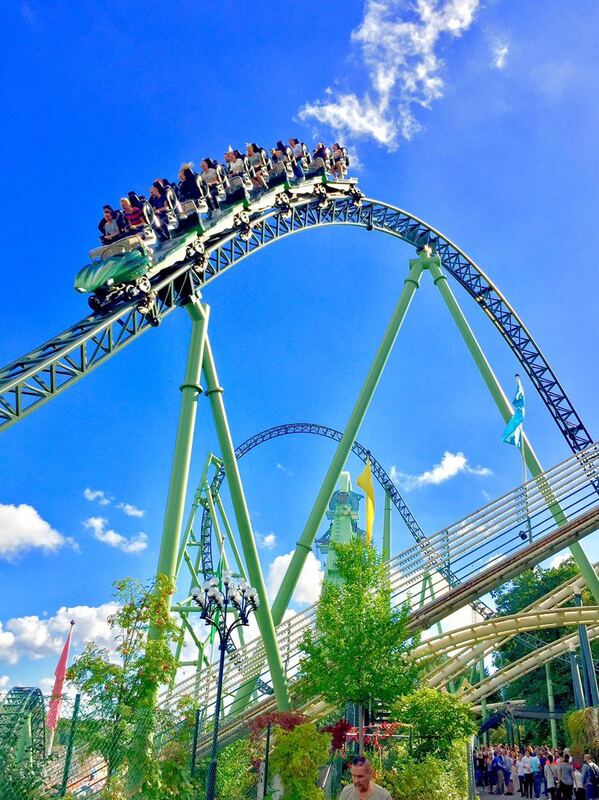 Balder is the roller coaster that catapulted Liseberg into world-class status... and it's no wonder why. Whoever says roller coasters are all about size is entirely wrong. 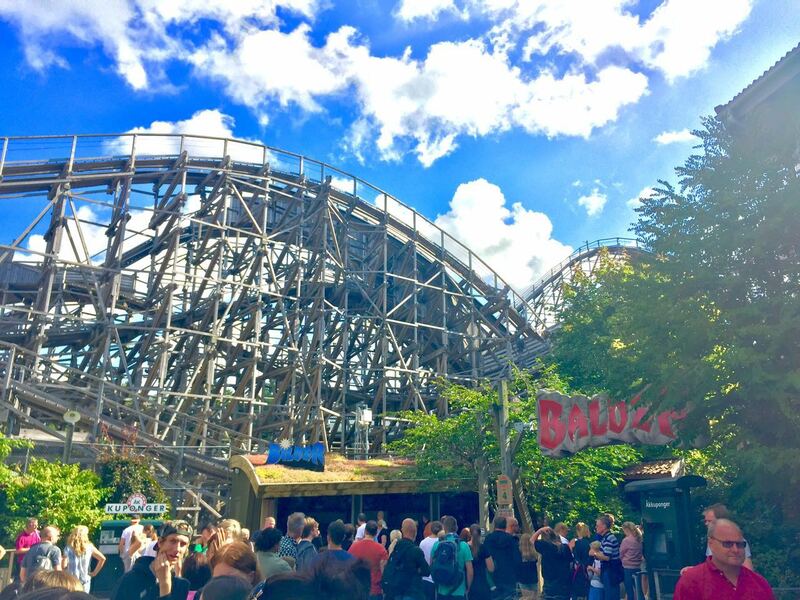 Despite not being the world's tallest, fastest, nor longest wooden roller coasters, Balder is actually one of the world's best. With an exciting first drop measuring at 70° angle, Balder utilized its compact space by installing as many airtime and ejector hills as possible. As the train goes from one end to another, back and forth, riders are literally ejected from their seats more than 10 times. If you love airtime, Balder might as well be one of the best roller coasters for you. Helix is the best example of how to seamlessly blend a roller coaster with the surrounding terrain and nature. Following the successful opening of Blue Fire (which was too tame for my liking, unfortunately), Mack Rides continued its strikes with the opening of Helix, also located at Liseberg. Riders are launched not once, but twice through seven inversions and the exciting layout. To say that Helix is a good roller coaster is an understatement, as it blends perfectly not only with the surrounding nature, but also the challenging terrain of the hill it's based on. The combination of perfectly executed flow from one element to another, as well as amazing airtime, makes Helix a true winner for Liseberg. Taron is an example of the result of perfect collaboration between engineering and creativity. 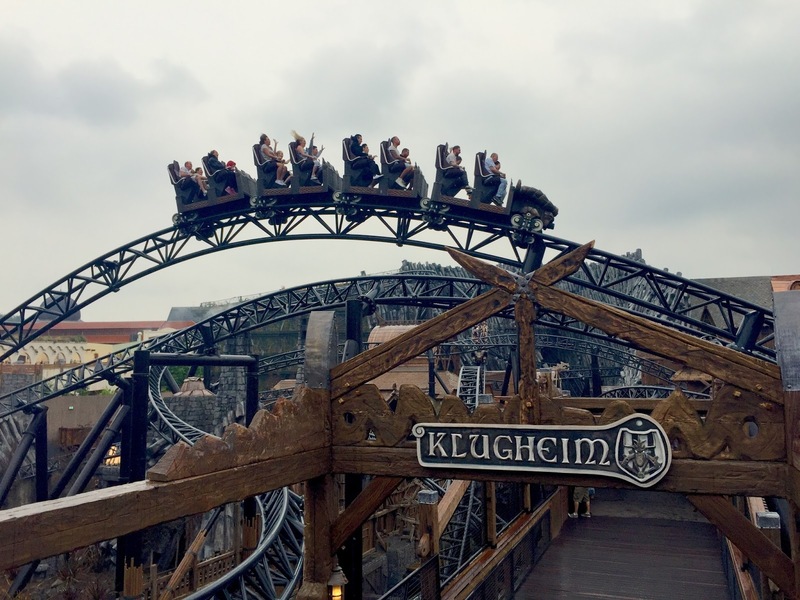 Earlier this year, I had the privilege of reviewing Taron for Phantasialand a couple of weeks after its grand opening. Needless to say, Taron managed to steal a spot in my "Top 5" list right away. This multi-launch roller coaster by Intamin is arguably the world's most exciting roller coaster as it goes through the scenic buildings and sets of Klugheim. The real highlight of the coaster is definitely the second half, which many have regarded as an "out-of-control, wild experience." Wildfire happens to be my 300th roller coaster. One week before I left for China, I managed to get a ride on one of the most anticipated roller coasters of 2016, Wildfire at Kolmården, and write a review of it. Being my first roller coaster by Rocky Mountain Construction, I was very excited because people have always raved their coasters' out-of-this-world sensation. Needless to say, they were right, and Wildfire showcases it in the best possible way. From its Inverted Zero-G Stall inversion to the forest setting, Wildfire lives up to its name: it's one of the wildest roller coasters on earth, and it will spark the adventurous fire inside you. Fury 325 is the best roller coaster ever built by Bolliger & Mabillard. 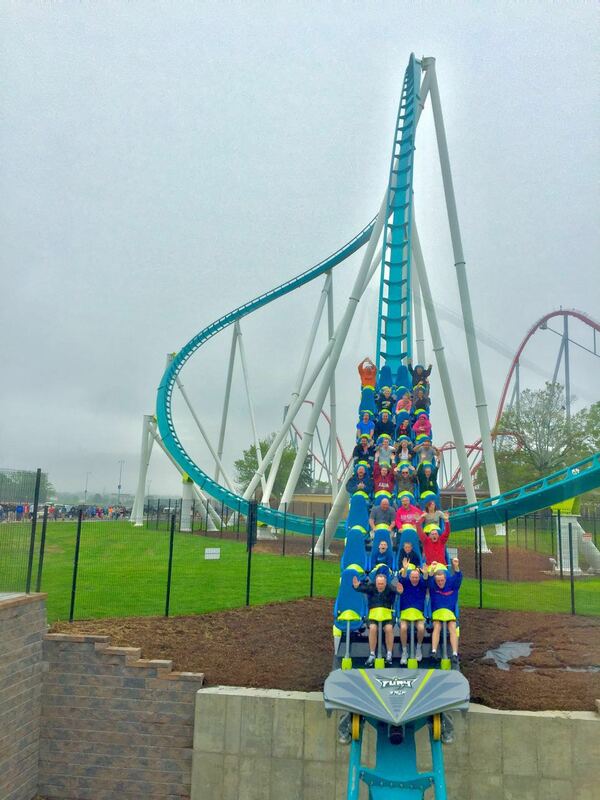 It's hard to imagine how Fury 325 can be so enjoyable. Firstly, it's super tall, and is in fact the world's fifth tallest roller coaster. Secondly, it's super fast: a top speed of close to 100 mph... and Fury 325 is one of those roller coasters that sustain this speed well throughout the course. Yet, it's super smooth: no rattling, no head-banging, and no pain. It's not hard to see why people often jump back into the line after riding this one. It's, after all, the world's best roller coaster for many. Check out my review from last year too! It's hard to imagine a wooden roller coaster that is as extreme as El Toro. If you're looking for a roller coaster that literally throws you out of your seats the entire time, say no more. 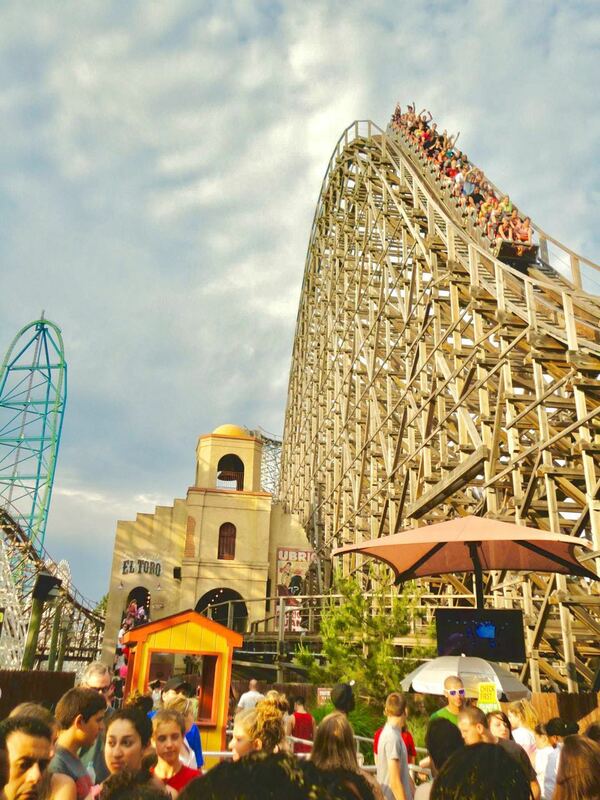 El Toro at Six Flags Great Adventure is there to satisfy your needs. With its massive first drop and much smaller hills afterwards, you're guaranteed to be ejected from your seats the entire time. On a great day, El Toro ejects its riders at a negative G-force of -2.2 G's. There's no other roller coaster on this planet that has airtime hills as extreme as this one... except Skyrush, which was unfortunately too painful for me. Living up to its name, Intimidator 305 is arguably the world's most intense roller coaster. With its amazing near-vertical first drop, Intimidator 305 is all about quick-changing turns, running down close to the ground. As a result, the coaster manages to sustain its incredibly high speed throughout the course, creating unusually high G-forces to its riders. The right turn following the first drop was so intense that riders reportedly blacked out for 5-10 seconds. Kings Dominion eventually decided to modify the right turn by creating a slight upward slope. Nevertheless, Intimidator 305 is still one of the most intense roller coasters I've ever been on, and it deserves the top spot in my list. Of course these are just my top 10 roller coasters, so I might be biased. For example, I haven't yet had the chance to ride some of the roller coasters that people say are some of the best, like Lightning Rod, Boulder Dash, Expedition GeForce, Phoenix, The Beast, The Voyage, and many others! For the next year, I'll be residing in Shanghai, China with the hope of continuing my pursuit of finding the world's best roller coasters. I'm looking very forward to explore what Asia has to offer, especially T Express and Steel Dragon 2000. Until then, keep living your life #OneThemeParkAtATime! I'm so excited about this one! It's like Balder and El Toro make love and have a baby. I personally didn't enjoy Millennium Force. For me, it's not forceful enough.